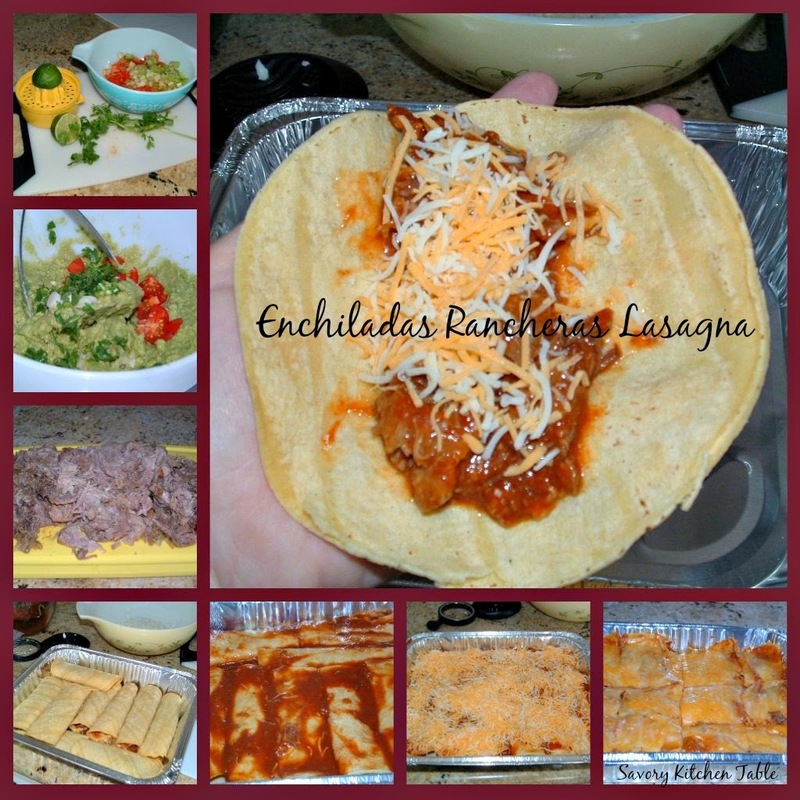 So do you know what the first step is in making Enchiladas Rancheras is? To make a pot roast one day and pork carnitas the next of course. I've made these enchiladas for years but always find the best flavor comes from using leftover pot roast & leftover pork carnitas in tandem along with fresh made tortillas and tomato sauce. I'd like to say I made these tortillas, but I ran out of time with company coming and purchased them from a local market who makes them fresh in the store. I just love watching those girls work! Add green chiles and garlic until well blended. Soak shredded meat for at least an hour in the sauce (though I prefer over night). Spread your tortilla lightly with some of the tomato sauce. Fill with meat and sprinkle with cheese. Serve with GARDEN TOMATO SALSA and Fresh Guacamole. **This time I was trying to feed a full house and was running out of refrigerator space so I tried something new and made 2 layers in the same pan and made a casserole out of it - worked like a dream. We just called it Lasagna cut it into squares and everyone was happy.